Steel slag is the residue of steel making industry and the emission amount is about 12 to 20 percent of rough steel production. Steel slag and slag has certain amount of important minerals of cement clinkers, such as C2S and C3S. So it can be used as cement and concrete admixtures. If the steel slag and slag occupies 15 percent of steel production (quality percentage), then the emission amount is 1.2 million tons. So if coarse aggregate can be replaced by steel slag and not only can the activity of slag be fully simulated but also the durability of concrete can be improved. Steel slag has higher strength characteristics than normal aggregate, which result in more strength differences between slag aggregate concrete and natural aggregate concrete. If the replacement of steel slag increases beyond 75%, to maintain the workability of concrete certain water reducing admixtures should be added. Four mixes were prepared by partially replacing steel slag as fine aggregate and tested for Mechanical Properties such as Compressive Strength, Splitting tensile strength, Flexural strength and durability properties such as Salt resistance, sulphate resistance and acid resistance and the results were discussed elaborately. MLA K. S. Elango, S. Karthikeyan, K. S. Karthik Mani, C. Kavin Kumar and Y. Manikandan. "Experimental Study on Concrete as a Partial Replacement of Steel Slag as Fine Aggregate." International Journal for Innovative Research in Science & Technology 5.11 (2019) : 26-31. APA K. S. Elango, S. Karthikeyan, K. S. Karthik Mani, C. Kavin Kumar and Y. Manikandan. (2019). Experimental Study on Concrete as a Partial Replacement of Steel Slag as Fine Aggregate. 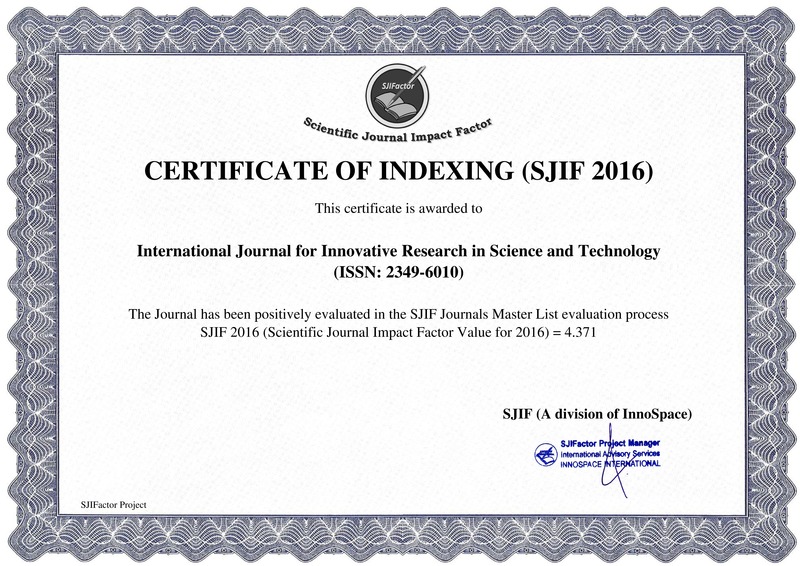 International Journal for Innovative Research in Science & Technology, 5(11), 26-31. Chicago K. S. Elango, S. Karthikeyan, K. S. Karthik Mani, C. Kavin Kumar and Y. Manikandan. "Experimental Study on Concrete as a Partial Replacement of Steel Slag as Fine Aggregate." International Journal for Innovative Research in Science & Technology 5, no. 11 (2019) : 26-31.